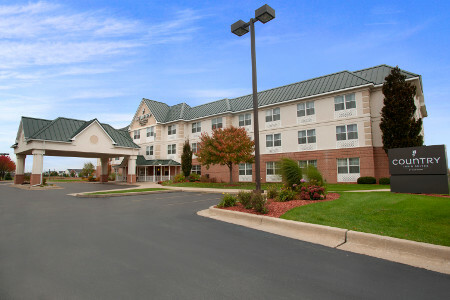 Make the Country Inn & Suites® by Radisson, Dundee, MI your spot from which you explore all that the area has to offer, from shopping at Cabela’s Retail Store and sampling vintages at St. Julian Winery to riding slides at Splash Universe water park and golfing at Dundee Golf Club. 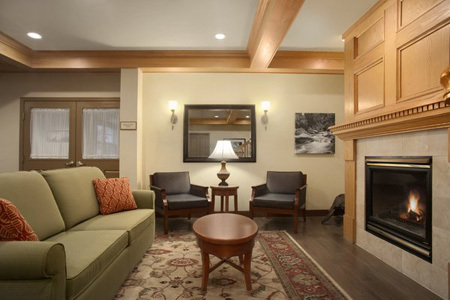 With easy access to US 23, you can reach business meetings or attractions in Toledo and Ann Arbor within 30 minutes. 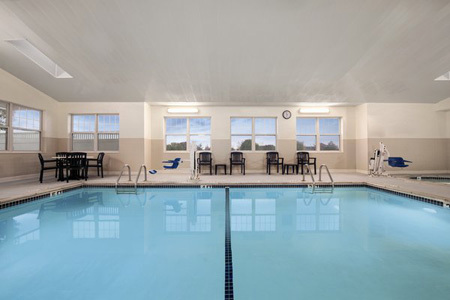 When you need to recharge, head to the hotel’s heated indoor pool or fitness center. 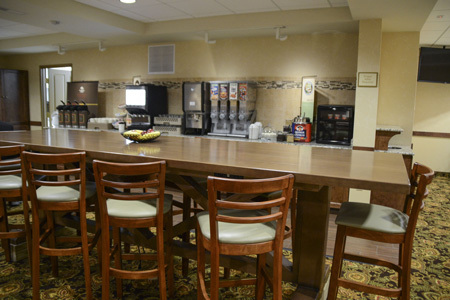 At the end of the day, stop by the lobby for a free cookie, and then retreat to your room for a good night’s rest, knowing a free, hot breakfast will be waiting come morning. 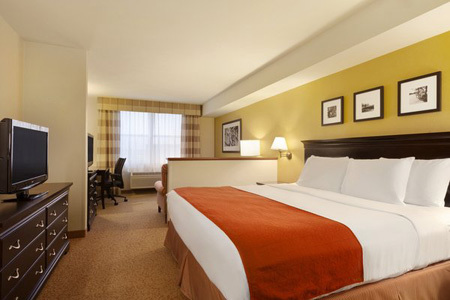 Book our One-bedroom Suite with a spacious living room and a sleeper sofa to ensure your family sleeps comfortably. For added privacy, enjoy the separate bedroom featuring a king or two queen beds. Our complimentary, hot breakfast offers all your morning favorites, including Belgian waffles, breakfast burritos and omelets. In a hurry to get out the door? Grab a muffin and fresh fruit for the road. Later, you can walk to Applebee’s for lunch or to Bob Evans for a home-style dinner, or try one of the other nearby dining options. Dundee Golf Club – Hone your golf swing or gather your group for a round at Dundee Golf Course, a nine-hole course located less than three miles from the hotel. St. Julian Winery – Travel about a half-mile to this nearby winery to sample vintages made with grapes grown in Michigan’s rich, dark soil. Visit the on-site store to purchase your favorite wine or pick up a souvenir to take home with you. Splash Universe – Unleash your inner child at this indoor water park, where you can slip and slide alongside the kids, or escape for a little grown-up time at the adults-only hot tub. With a Romance Package and affordable group accommodations available, our hotel is ideal for hosting wedding parties, family gatherings and business functions. Our meeting space offers room for up to 30 guests with free Internet access, audiovisual equipment, and snack and beverage service to ensure your event is impressive.